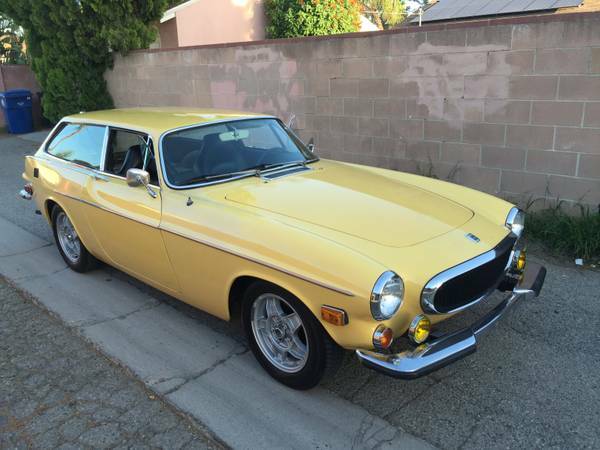 The Volvo 1800ES was a shooting brake (2-door wagon) version of Volvo's aging 1800 platform. It was launched in the 1973 model year and 8,000 units were shipped before 1800 went out of production in 1974. Today's example is a nice looking yellow example of the Fiskbilen (Swedish for fish van) offered for a reasonable price. 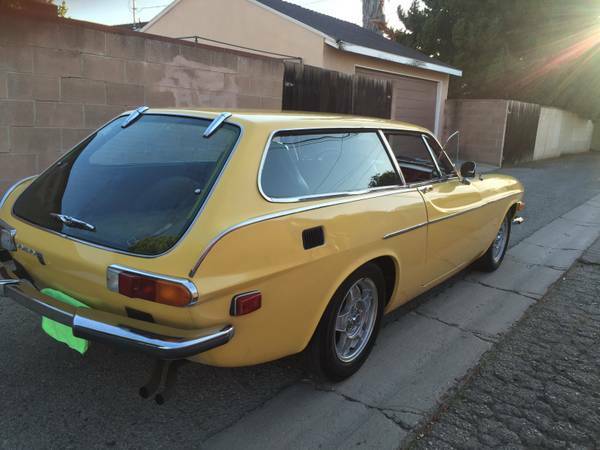 Find this 1973 Volvo 1800ES offered for $16,500 in Mission Hills, CA via craigslist. 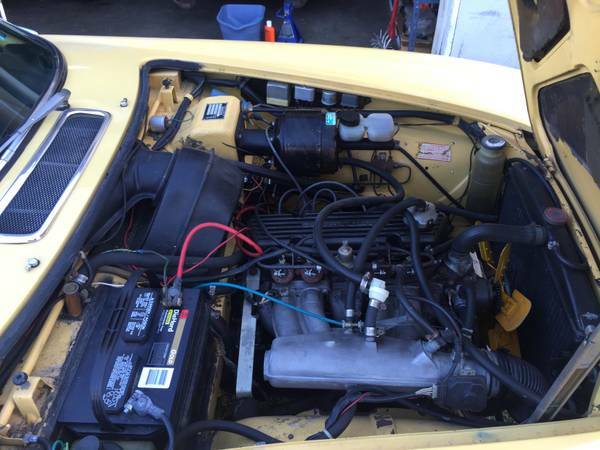 Seller submission from Tamas. The 1800 was a serious underdog classic a few years ago, but prices have eased up in the past few years (see Hagerty valuation, login required, but it is free) -- probably because the price of everything else has gone up -- but also because the 1800 is one of the few classics that you can drive everyday without breaking the bank. Under the hood is the original B20F fuel injected 2.0L pushrod four that pushes 124 horsepower into a 4-speed (+ electric overdrive) manual gearbox. The 1800ES isn't a heavy car, so performance isn't bad when compared to similar vintage classics. Cosmetically this one appears in good shape, the stock leather seats look good and all mechanical parts appear in good shape -- but the real kicker is that the car is totally rust free, a rare thing for a classic Volvo. Tamas (Oprah!) is back with another ES and this one won't disappoint, I'm certain. He has a good eye and knows these cars pretty well. 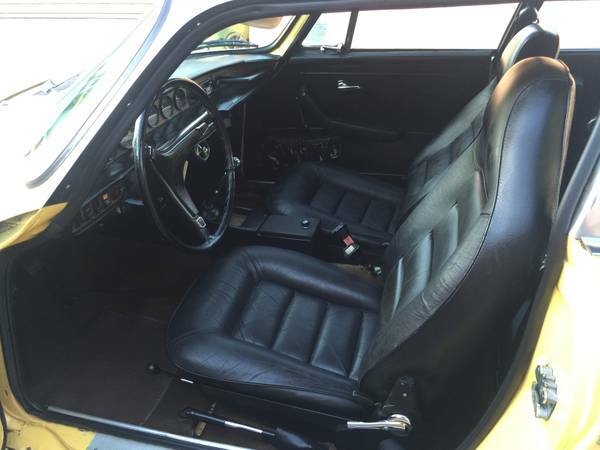 I'm liking the black interior over yellow, too. I'm in the process of changing my smurf blue to a dark red interior to contrast the California White exterior so I'm poring over pics of ES insides. Bon chance, Tamas. If this wasnt a bit more than I want to pay for an ES I would be all of it. Ticks all the right boxes....mostly original, row your own and an OD...now a metal sliding sunroof would make it the unicorn. I wonder if it is an original California car? Very nice, especially with the subtle upgrades like the mags, sway bars, finned valve cover, and fog lamps. I often miss my '67 1800S.